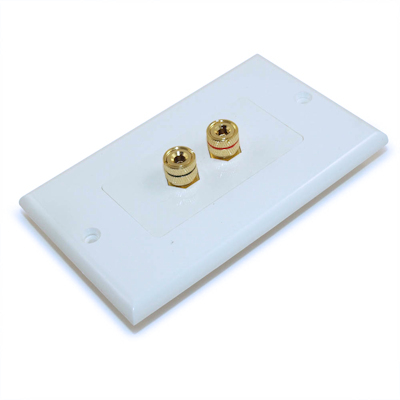 Finish the home theatre installation job properly with these gold-platted speaker jack wall-plates. Suitable for 1 speaker (2 connection points). 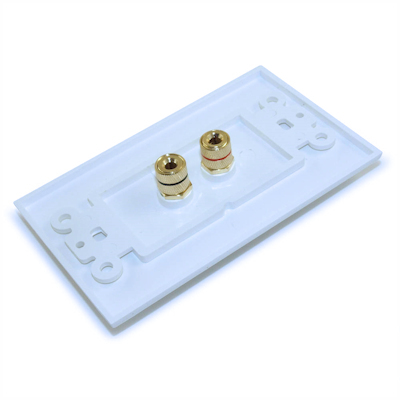 Can be used with banana plugs OR post-bound (using bare speaker wire) by unscrewing front and/or rear rounded nut.